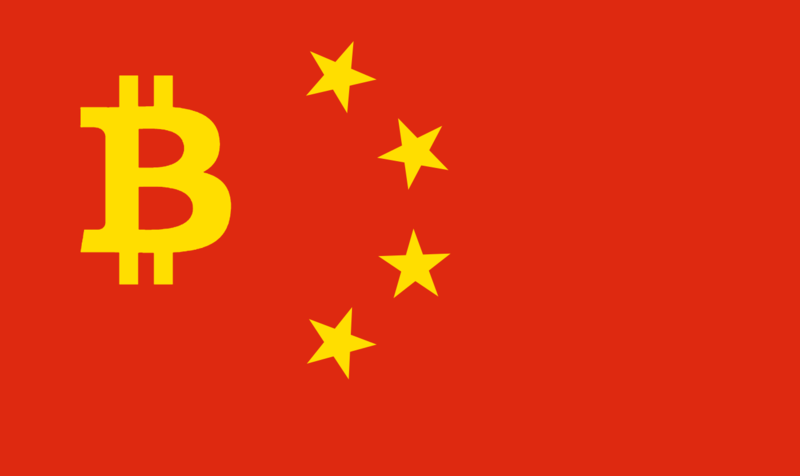 Martin Stokic, our author with feet on the ground in China, uses this column to express his opinion about the most recent anti-cryptocurrency rules and regulations coming out of China. It's also something we briefly mentioned in this post. The answer is part of the bigger picture, but is likely not as complicated as it might seem – China simply needs to keep the money in the country. In regards to Bitcoin and cryptocurrency in general, the noose around the control of the market could be seen as a muzzle while the cryptodog is trying to break free. One may argue that the cryptopup does need to be put under control due to the volatility of the markets, but the reason may not be as superficial as many opponents of the ban argue. One could say that the Communist-Capitalist hybrid lovechild operates well within China's constraints, but the problem stems from the fact that Chinese wealth is being syphoned out of the country in immeasurable amounts of US dollars. Cryptocurrency is like fire: the closer you get the more you feel the burn and crypto's potential. China, having been the cradle of Nakamoto's child for so long, is well aware of this. The market is expected to grow 10 times in the next decade, so the potential impact is hard to foresee on the current issue of money bleeding. I believe that this was an obvious next step. Mind you, it seems like China has nothing against Bitcoin or cryptocurrency as the country has been in love with both and even included the blockchain in their 5 year plan not so long ago. You can read more here and here. What is the purpose of this “Commie” conspiracy? We can see that China has a deeper interest in crypto than many other countries. However, there could be a much broader scope of FUD inside the Communist Party looking at the long run in regards to how the money faucets impact its real estate market, education, local economy and employment. China has been working diligently on plugging the leaks in their money barrel for some time now. It has happened before the crackdown on crypto as well. See here when we talk about currency usage restrictions, which does come as an impediment to Chinese plans for ¥ competing with $ and € on the global scale. All these money regulations should be completely in place by 2020. When talking pure real-estate, it is visible that property purchases outside the country have syphoned an estimated 500 billion dollars just this year alone. There are over 300.000 Chinese students leaving the country this year alone with the trend going strong for some time now. Another separate article covering this topic and the Chinese education system can be found here. In many cases this trend is connected in part to the real-estate purchases. China has an education system with a good reputation, but it is a dog eat dog world. 7.000.000 highly educated Chinese emerge from this grinder per year. In 2010, China had 9% of its population highly educated, 14% with senior secondary education, 38% junior secondary education, 26% primary education and 4% were illiterate. But it's an ant's life for most. China simply has more blue-collar job offerings than white-collar job offerings at this point, and from what I have seen life is not easy on any of them. Due to the slowing local economy, China has a prerogative to defend its own national interests as it may happen that the government loses face in front its own people. People who had gotten used to the sustainable growth and development through the last 3 decades where they grew from poverty to the 2nd strongest economy on the planet. The current slowing year on year growth poses a serious threat. It is projected that it will slow even more, down to 5.7% in 2022 from 10% not so long ago. Even ignoring everything else, China needs to sustain the sheer weight of her population, and I think that that this could be one of the primary concerns of the government in the near future. 4% of illiterate people comes close to 50 million, who most likely just rely on Big Brother to provide for them. It's possible that more than half of the country are still villagers where generations need to pass in order for things to even out and urbanize. I reckon that they are looking into options on how to utilize the capped money and to incentivize local spending to further develop industry, redevelop the countrysides, fix the plummeting environmental issues, and keep the highly educated people employed. What happens next, if there even is a next? I understand and support the concept of the free market, but without controls in place China could crack under its own size. If any of my fairly limited observations are true, the October conference will not be an easy one. There are a lot of issues to shovel around in order to plot the best course and in general a much broader aspect to consider than crypto alone. The government needs to be able to take the country in the direction of further prosperity. I do not think this situation will impact Bitcoin or the crypto market in the long run. I think crypto is the next Big Thing™ – it is a living and breathing organism that faces more threats from the inside than from the outside. You can see what I mean by that here, even if it is just one opinion. The market will just move as it is not tied down by anything, and if it can not operate in China it will operate in Japan. Yes, China has a broad scope of issues now, environment being the top one from my perspective – but in this stage of economic development, most of what we call developed countries today have been in the same gutter and dirt during their rise to western standards. To be honest, we all hold a little responsibility in this. But there always is a next. The trading does continue – it just shifted from WeChat and exchanges to Telegram, Discord, as well as other Brokerage options and OTC deliveries for in-country trading. We all know how it goes with prohibition and when you tell people they can't have something – yeah, right. Even though they plan to limit access to foreign exchanges, VPNs and TOR smoothly sail through the Golden Shield, at least until February 2018. We'll see what happens after that, but cryptocurrencies certainly aren't easy to stop. Granted, we might be in a crypto bubble, but not necessarily due to the inflated values. It's more likely due to our occasional inability to fully see outside the box. Long live our own personal Truman Show. From China with love, Martin S.
Previous articleWhat Is Ethereum and How Does It Compare to Bitcoin?